What the heck…I have been crazy going like a maniac…playing, playing, playing!!.. 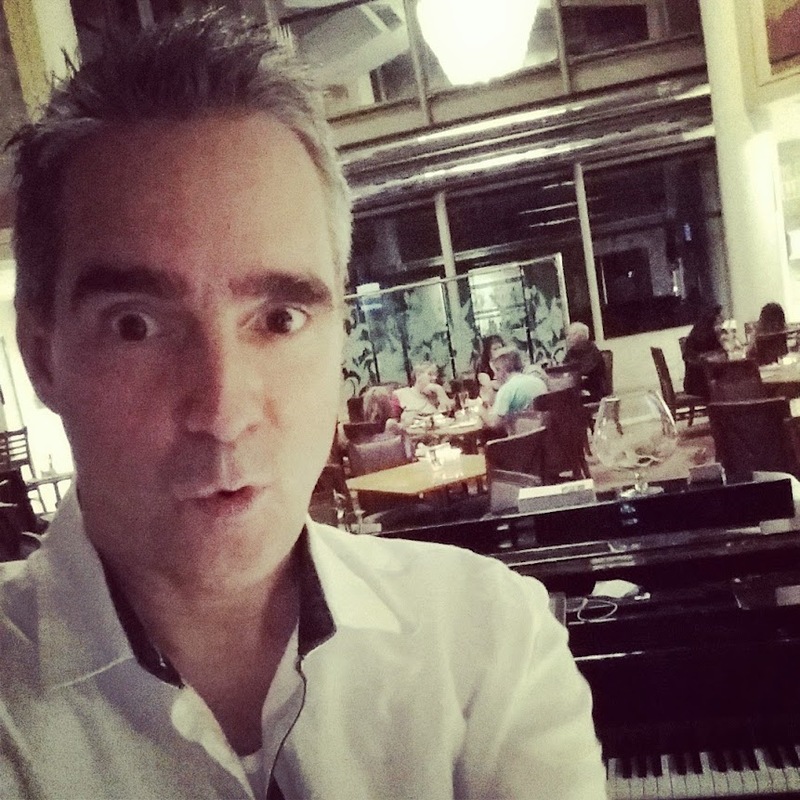 I’m playing sweet solo piano every Monday-The Parkway Grill…amazing food, beautiful ambiance. Solo and Beautiful. What a great place. By itself the space is beautiful. And the Piano is a Yamaha baby Grand! I do a lot of Standards but like to keep it eclectic…Some Bob Dylan.Counting Crows, Katy Perry, John Legend…Adele..you name it. As long as it’s amazing and beautiful! Then I’m playing piano and singing every Tues, Weds and Thurs at the Hilton…Lobby Bar..7-10pm. Lots of fun. All kinds of people come around. Cool venue. Big tall ceiling. Cool Universal Studios. I have been having various and amazing people sit in now and then.This is a great gig as I love to sing too! Musically I can go all over the place as well there. I love Beatles and Elton John but am really loving Sam Smith and Ed Sheeran too. I usually pass out my song list and just take requests as I go. Thursday night I had a lady request “Low Spark of High Heeled Boys” I found out that Widespread Panic also have done a great cover of it. I’m also playing various parties, special events and such, tomorrow for instance-I’m really excited to play for a 60th Wedding Anniversary!! Wow!Should be super cool! And then I’ve also recently added some cool weddings-One in Long Beach and one on the beach in Marina Del Rey! And…….On (post)Valentine’s Day..I’ve got two beautiful gigs lined up! !Both for the day after Valentines Day! But I’m really looking forward!They should both be really fabulous! Today I’m off to the Langham to play special music for a 50th Year celebration of a Floral Company. I’m going to say it’s going to be beautiful! And I can’t wait to find out what’s next! Oh did I mention that I’ve been working on my original music! I just update several of the songs on my most recent compliation of original music!